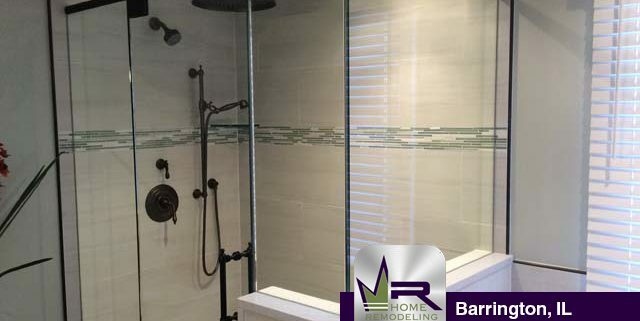 The residents of this home were ready to completely change their master bathroom into a very modern and open space. 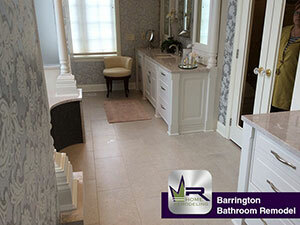 Regency began by removing all cabinetry, fixtures, shower, tub, and more. An unnecessary partition wall separating the shower and tub was removed in order to decrease the claustrophobic feeling caused by the wall. 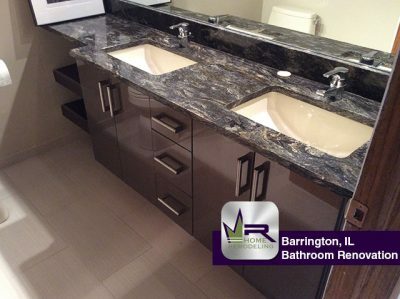 They were interested in remodeling their large Jack and Jill Bathroom in their wonderful home. The bathroom had an older, outdated style that the residents no longer found desirable. There was also some foundational damage to certain areas of the bathroom such as water damage to the area around the tub. Barrington is located 32 miles northwest of Chicago and is home to 10,360 residents. It has a suburban country feel with its riding trails and its many parks and forest preserves.